As we celebrate love and romance in honor of Valentine’s Day, we are pleased to announce the 100 Most Romantic Restaurants in America for 2016. These awards reflect the combined opinions of more than 5 million restaurant reviews submitted by verified OpenTable diners for more than 20,000 restaurants in all 50 states and the District of Columbia. Featuring beloved restaurants adept at delivering hospitality with a personal touch, often from owner-operators, the complete list spans 33 states and includes honorees such as The Cellars in Virginia Beach, Forbes Island in San Francisco, and Zenkichi in Brooklyn. California has 15 winning restaurants, followed by New York and Virginia with 8 apiece, Colorado with 7, and Arizona, Florida, and Texas with six each. Hawaii and Nevada each have five winners while North Carolina, Ohio, Pennsylvania, and South Carolina each boast four. Connecticut, Illinois, Michigan, Nebraska, New Jersey, Tennessee, and Washington count two winners per state. Alabama, Georgia, Indiana, Kansas, Maine, Mississippi, Missouri, New Hampshire, New Mexico, Oklahoma, Oregon, Rhode Island, and Utah are also represented. 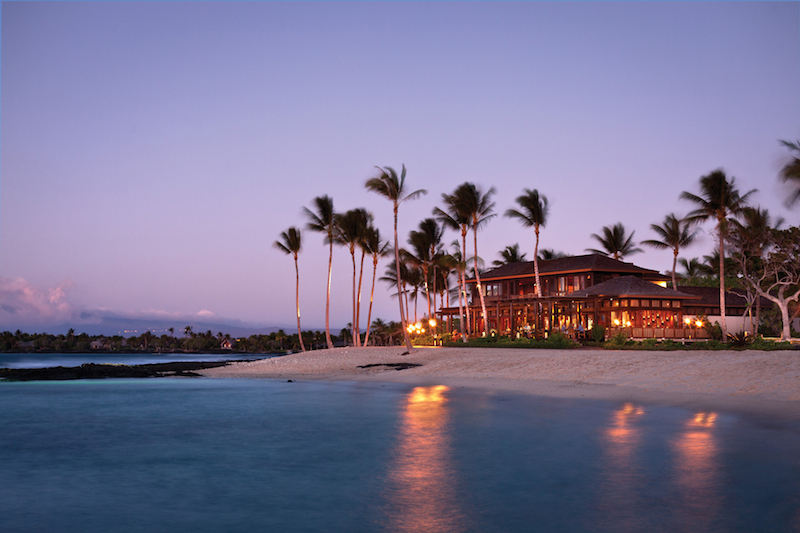 Exceptional ambience is the common thread at the winning restaurants, from those set in historic buildings, such as the Rainbow Room atop 30 Rockefeller Center, to those associated with cozy inns and luxe resorts, including Duling Kurtz House and Tidepools at the Grand Hyatt Kauai. Establishments serving American and French cuisines dominate the list; however, Italian restaurants and steakhouses also proved popular, as did those specializing in perennial favorite fondue. And, don’t miss your chance to enter our #savorthelove Valentine’s Day giveaway. Click here for details. Have you dined at any of this year’s winning restaurants? Let us know in the comments or over on Facebook, G+, Instagram, Pinterest, or Twitter using the hashtag #OpenTable100. I am not familiar with all of the restaurants in Hawaii, BUT Mama’s Fish House in Paia, Maui is a glaring omission. Canlis is the best dining experience I’ve ever had. Food, service, atmosphere were all perfect. None in Houston or Austin? That’s weird. Absolutely re: Mama’s Fish House! I think the author is from Colorado. I agree with Robert. Can’t believe Mama’s Fish House did not make the list! I used to live in Michigan and the English Inn was my all-time favorite restaurant ever! Beautiful restaurant, beautiful grounds on the Grand River, and the food and service are amazing. I live in Colorado now but anytime I ever go back I always go to the English Inn! Did you misread? Mama’s Fish House does not sound like it should be on the list of the 100 most ROMANTIC restaurants. So is leaving out LeHappy in Portland, Oregon. I agree with Robert from the above comment. How could you leave out John Ash restaurant in Santa Rosa, CA? Where is Cotton Row, Huntsville, Alabama? That’s where I’m going to take my sweetie on 13 February! I can’t believe that Boston did not make the cut! So many romantic and great places! Chez Paul on Maui is a MUST. Very romantic. I have eaten at L’Auberge in Sedona. It was a perfect evening. The service was platinum. The food was one of the best meals we have had. It was a birthday dinner with my husband and it was perfect. We stayed overnight and had a super breakfast. This place is number one! I agree completely with Robert L (above)…!! I agree on Mama’s as a top place for romance. Also, Post Ranch Inn in Big Sur should be on this list. We ate at Mama’s yesterday. It was the best meal of my life! I agree with Robert! The view was spectacular and our waiter, Brad, was attentive and very knowledgeable about the ingredients of the menu and the preparations. We used Open Table to make the reservation and may even go back later in the week. Have been to Harry’s in Manhattan, KS. Absolutely fabulous meal and service above and beyond. Wow…I was thinking the same thing. Doesn’t that pic look like Mama’s? Geja’s in Chicago is quite unique. It truly belongs in this list as does Maison Blanc, Longboat Key in Florida. Unfortunately it did not make the list. You mean that none of the fabulous restaurants in New Orleans made this list!!! Amazing! Having been to Mama’s Fish House in Maui I definitely have to agree with Robert. Been to the Rainbow Room twice once for dinner and dancing the second time to see Rosemarty Cloony perform. The cellar in daytona beach was very good. My wife ordered a rabbit Alfredo and I had duck and pheasant with drinks and a salad. The history of the house is amazing and the food was excellent. Make sure to bring money because it is spendy. Chez Francois (we like to call it “Frank’s Joint”) in Vermilion, OH is simply French in the most lovely way. We adore it.